Pacific Sound is beyond excited to feature the Newfangled Four to the Marjorie Luke Theater for our 2018 Annual show. 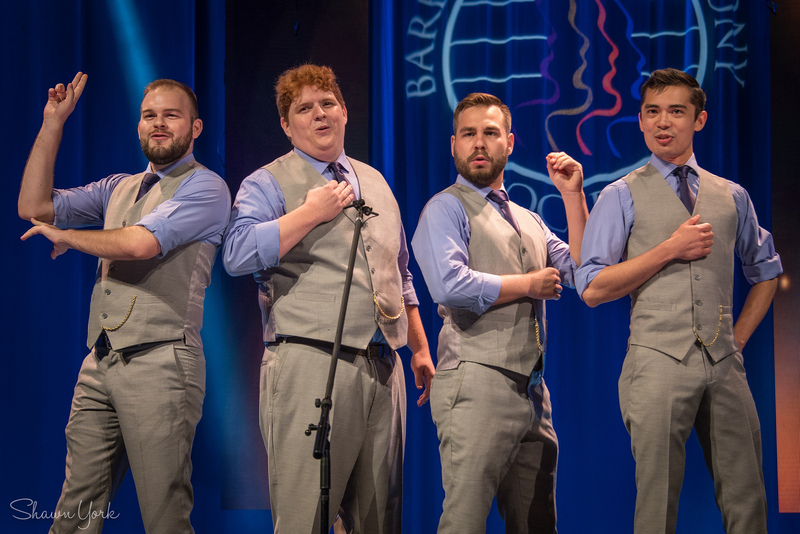 They are one of the most entertaining quartets in the society today, flooring audiences with their incredible singing and spectacular showmanship. They will join Pacific Sound as well as Carpe Diem Chorus, the Dos Pueblos High School Jazz Choir, and other chapter quartets. Tickets will be available soon, so stay tuned to the website and our Facebook page for up to date information. The Newfangled Four is a barbershop quartet based in sunny Southern California. and they are constantly striving to be the next best thing!